Philippe Mihailovich is considered as a leading academic and consultant in the field of Brand Management specialising primarily in brand creation and exploitation. He is a founding theorist of Brand Architecture and Brand Stretching. 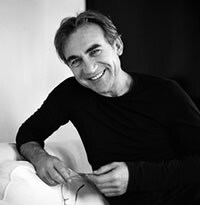 As a practitioner he has been the Marketing head of famous international brands such as Nivea, Wella (P&G) and British Telecom and as a consultant has assisted in the creation or repositioning of numerous challenger brands from private label to high end fashion and luxury houses, airlines and hotels. As founder and President of HAUTeLUXE he currently works as a Brand Strategist specialising in modifying Brand DNA, Storytelling and story-building strategies primarily for the ‘luxury’ industry in Paris and London, often as a sub-contractor to Communicaion and Content Agencies. Philippe is also a private conference speaker and Visiting Professor of Brand Management (in English only), primarily for MBA, MIM, MBC, MSc and other Executive degree programs at leading private Business Schools, notably INSEEC, EDHEC, Stockholm School of Economics in Riga, and IFA,Paris with Summer interventions at the HEC and Institute Francais de la Mode. As a Brand Confidante/Advisor, he is usually involved in troubleshooting, reviving brands, or remodifying Brand Story and Content Communication Strategies as well as developing new brands- from conceptualisation to developing sustainable strategies ensuring that high growth does not damage brand image. Born in South Africa of a French (+Swiss) mother and Serbian (+German) father he draws from his early experience as a fashion photographer and going on to fashion retail management after completing his BA degree in Industrial Psychology and Social Anthropology at the University of the Witwatersrand which he followed on to an Executive Masters in Advanced Marketing and only much later continued to become a PhD researcher at Surrey University in the UK. He has written numerous landmark academic papers on brand architecture which have been published in the Journal of Brand Management and the Journal of Place Branding. He has also published a series of Luxury Brand theories on LuxurySociety.com and is an elected member of the Medinge Group, a not-for-profit, international ‘think-tank’ collective of high-level Brand authors and practitioners promoting principles of humanity and ethics in branding.